Is there any way to change the "Save" button to "Submit". Also, is it possible to change the spelling of "Favorite" to the AU spelling "favourite" as we are based in Australia. im new to this, so screenshots and steps will be very handy to point me in the right direction. 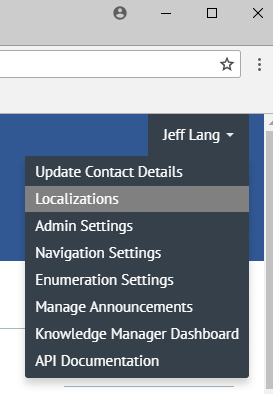 @Mina_Saidi ; It's quite easy to change the Save button and other parts of the portal via the localization settings. once you have changed what you like in the override column don't forget to save the page. also changing these settings will change it in all area's of the portal. there may be multiple items on the list where words appear, eg the word favourite on my list is in 13 different entries, so all would need to be changed to keep it consistent.